A space this beautiful demands attention, yet you still feel relaxed and welcomed. 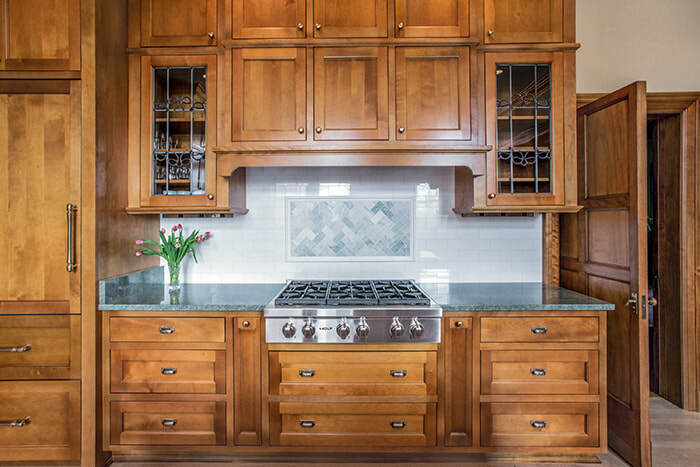 Amazing design blended with superior functionality makes other kitchens envious. A clean, contemporary redesign brought this Menomonee Falls kitchen modern. 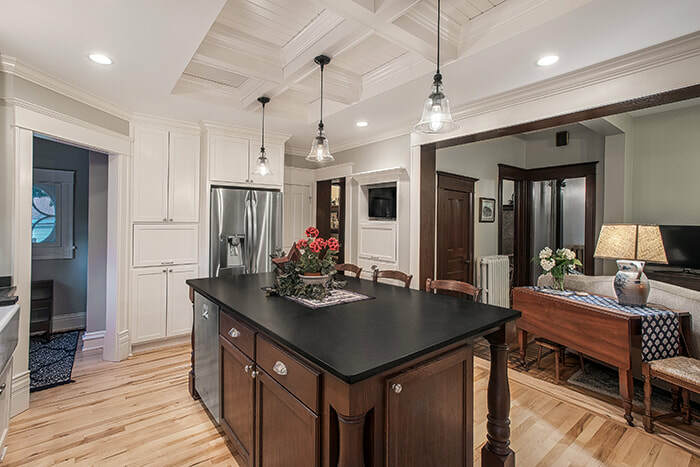 A great layout, excellent counter and storage space and open concept make this a great space to entertain. There is beauty in simplicity. 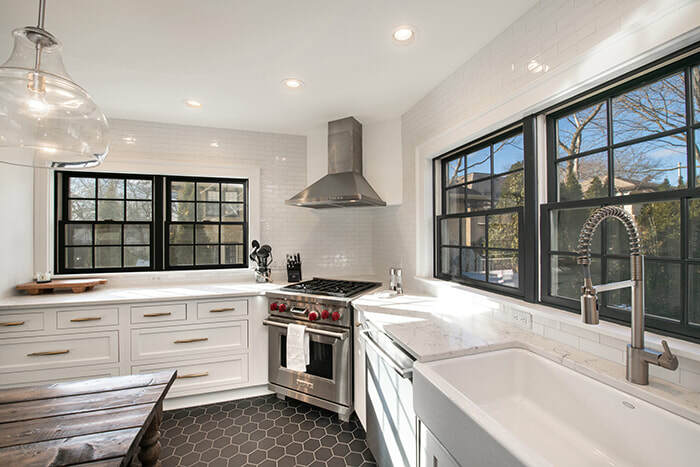 Clean lines, monochromatic design, high contrasting colors, and of course, stainless steel, gives this Shorewood kitchen a classic retro feel with a modern touch. 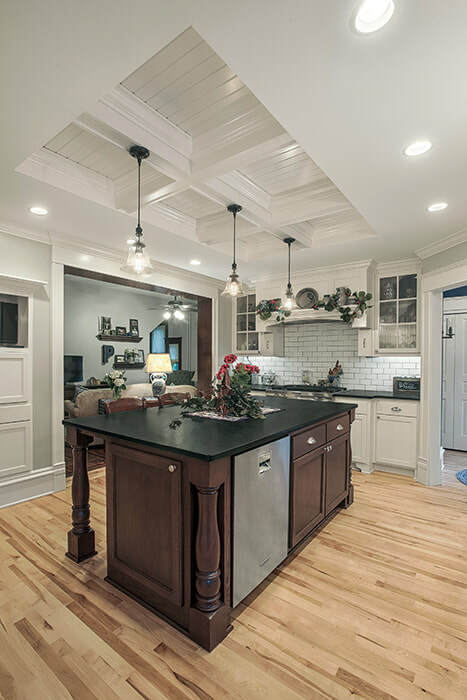 This Milwaukee kitchen remodel involved the obvious - New cabinets, countertops, & flooring - but we also redesigned the layout, improving functionality. The sink, range and refrigerator were all moved to new locations. 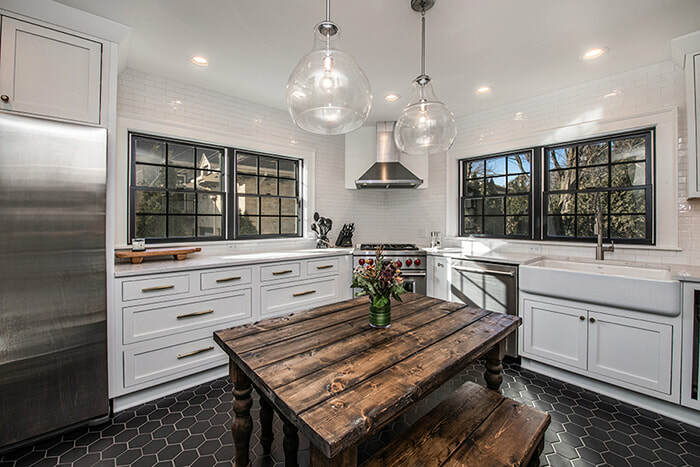 Mix in some great interior design and you have an elegant and highly functional kitchen. 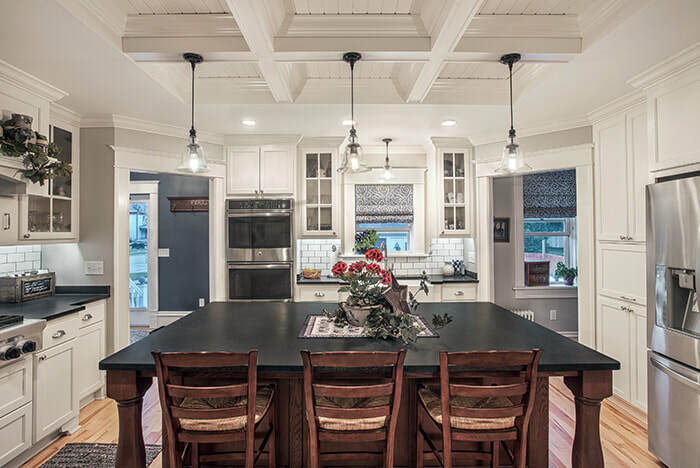 This perfect kitchen space has a ton of functionality, but also blends into other areas of the home, making it a wonderful place for family to gather for talking, visiting or eating. 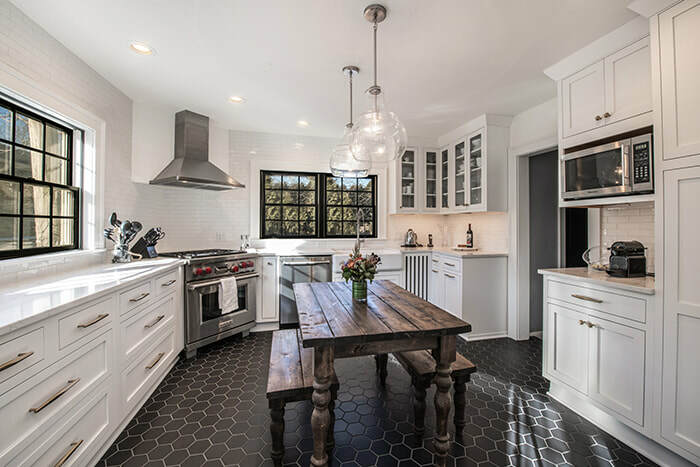 Aside from the obvious amazing style & design, and in addition to the high quality cabinetry, flooring & hardware, this Glendale kitchen packs other great amenities - A wine & beverage area, a coffee bar and dual seating areas. 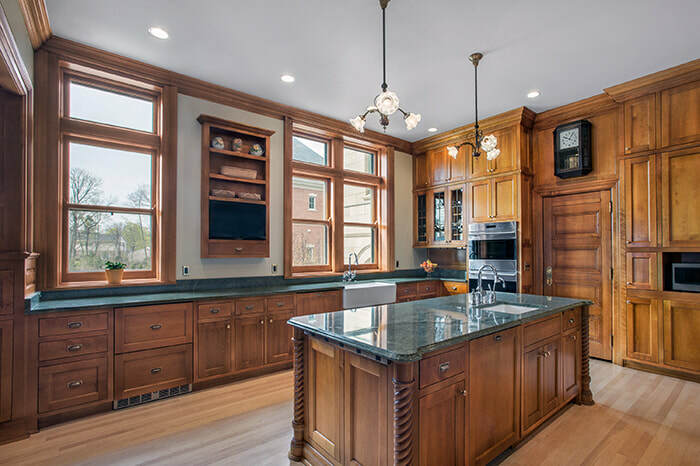 This updated Cedarburg kitchen space does an amazing job of blending contemporary design and amenities with a warm, inviting quality which makes you feel right at home, all while blending into other living areas within the home. 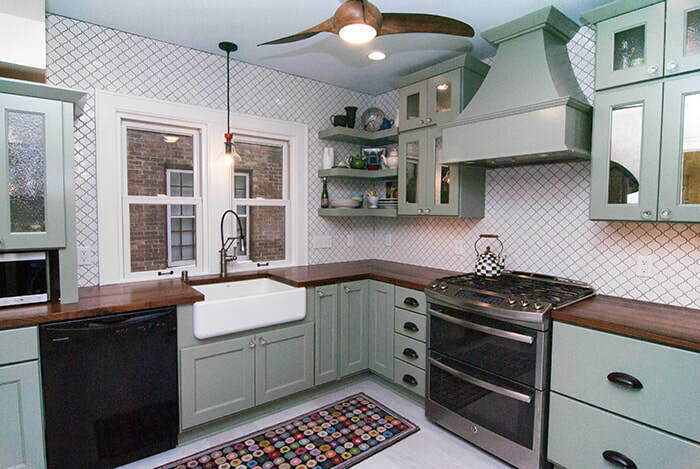 If you run out of storage space in this Milwaukee kitchen, you have too much stuff. 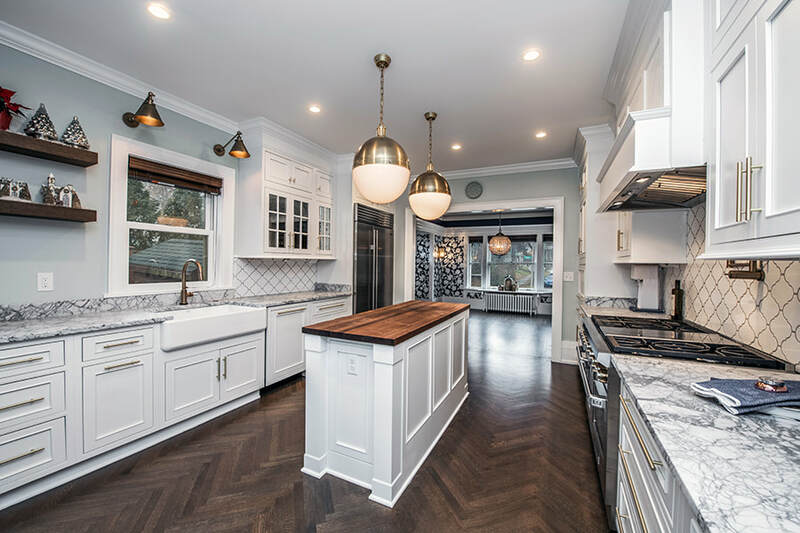 Beautiful cabinetry makes the statement, but it's the great layout, high end appliances and impressive counter-top space which really brings this kitchen together. The design in this space is striking, from the amazing woodwork on the ceiling and tile work on the walls, to the contrasting color scheme and the way it just flows into the adjoining seating area. 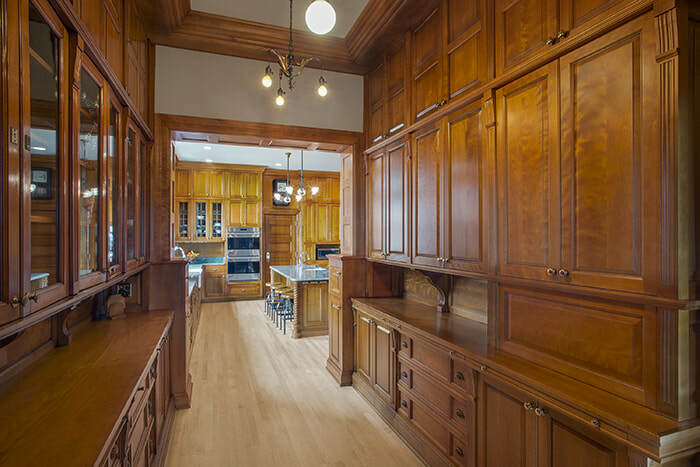 A huge center island with seating and storage, a great layout, a butler pantry, and an open concept into dining and seating areas make this super stylish Greendale kitchen great for entertaining. 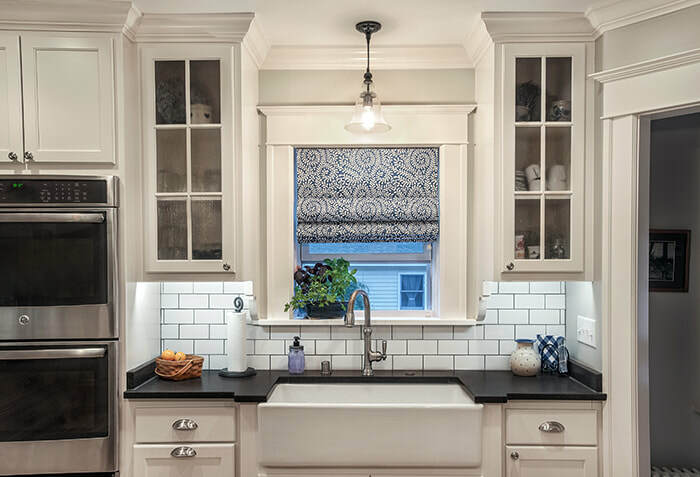 This kitchen remodel in West Allis made exceptional use of a tight space, making the area more functional, more beautiful and eliminated the anxiety the home owners felt when being in the previously cramped, inefficient space. 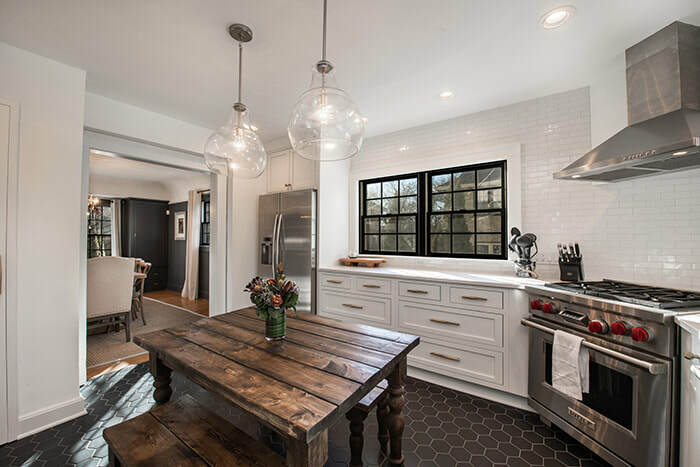 The removal of a wall between the old kitchen and a rarely used dining room opened up this New Berlin kitchen to the rest of the home, created more counter space, which is always a great thing, and gave an older kitchen a contemporary feel. 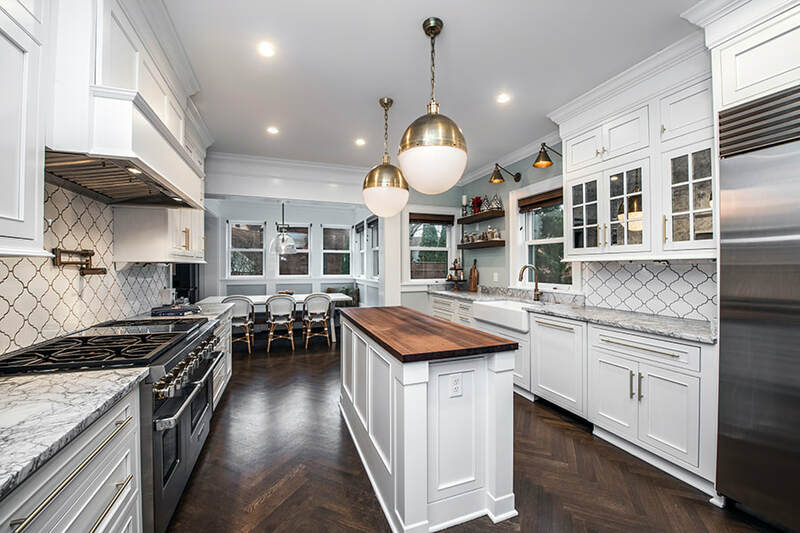 Updates to the cabinets, flooring and countertops, plus converting a desk area into a serving counter, provides the visual impact for this Germantown kitchen, but other subtle tweaks take it further. We extended the countertop into the dining area and added stools, providing more countertop space and seating. It also makes the kitchen look and feel bigger. 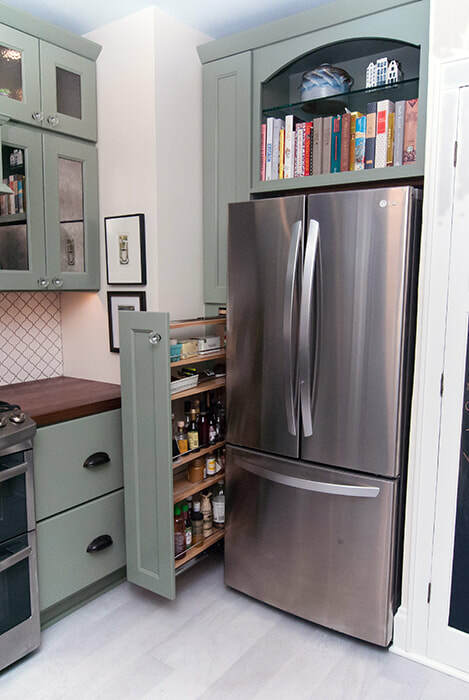 Then, we moved the refrigerator ever so slightly, increasing the walk-through space and adding a small "bonus" counter space. 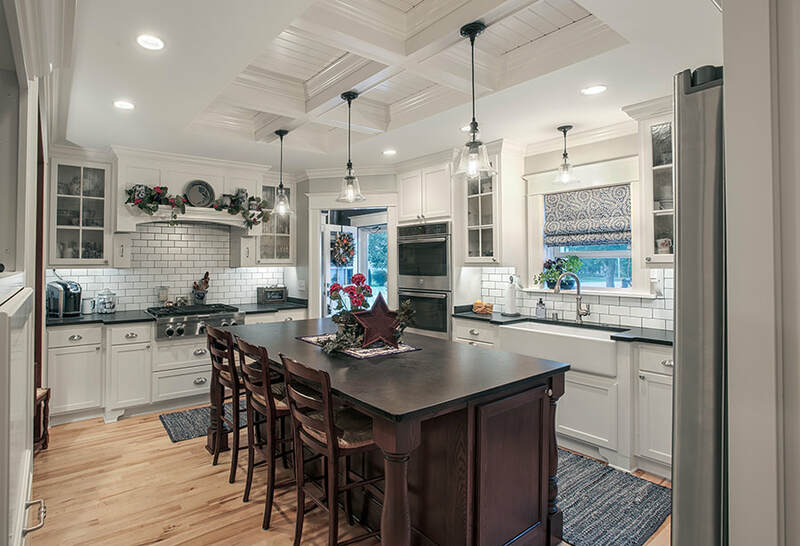 A complete layout change made the space feel roomier, become more efficient, and provided more countertop space. Added cabinetry provided more storage, and allowed the removal of a free-standing storage piece, opening up even more room. The end result - A space which looks and acts larger than it is. 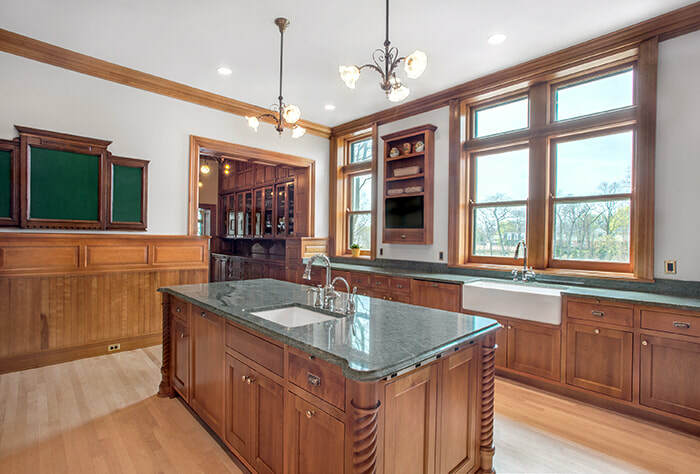 We provide solutions for every level of remodeling projects. 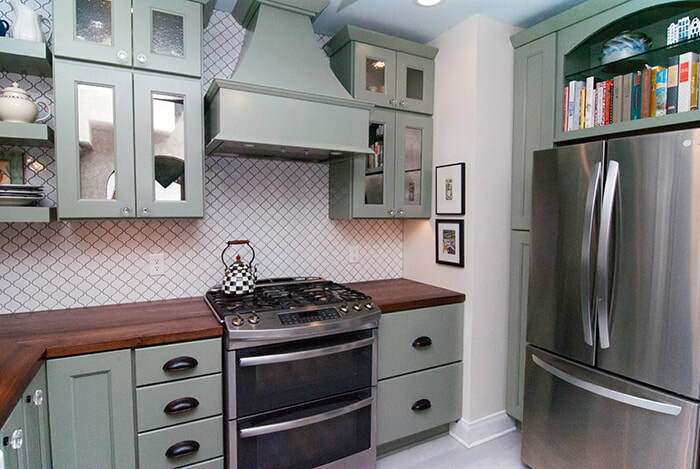 For this Germantown kitchen, we updated the cabinets and countertops, then added a tiled backsplash. Three small changes which resulted in big changes to the existing space. 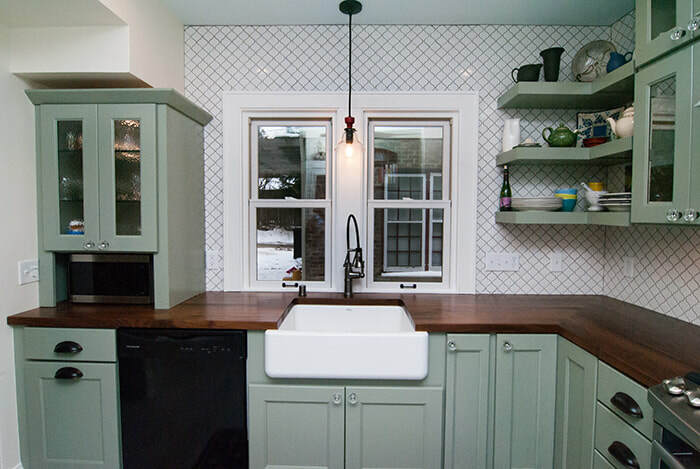 Sometimes a space just needs a "makeover" which is what we did for this Hartland kitchen. New cabinets and countertops, along with covering the refrigerator with applied panels, gave the already great space a fresh, more modern look.